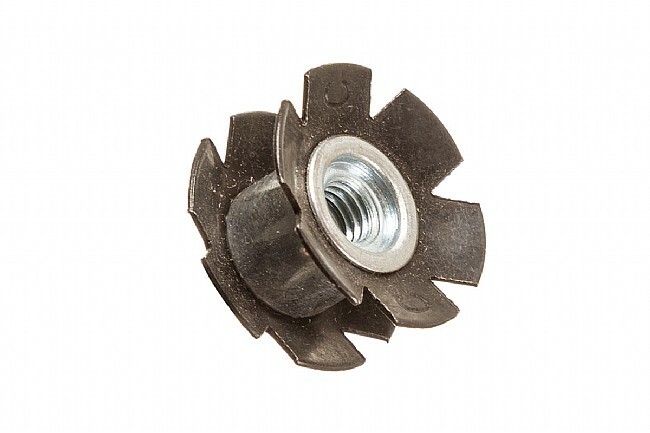 Diatech Star Nuts (also called Star-Fangled Nuts) are designed for 1" and 1-1/8" steerer tubes. Once the Star Nut is driven into the steerer it allows for for the preload bearing adjustment on threadless headsets. For use with steel and alloy steerers. Not designed for carbon steerer tubes. 10 grams. It is a star nut. Works like a star nut should, not much else to say. Installed with a rubber mallet into a steel steerer tube. Holds tight. I was worried about getting the star nut in straight, but the design of this brand made it very simple to install correctly. Very happy with it and it cost very little.